FUN AND FUNKY CONDO! 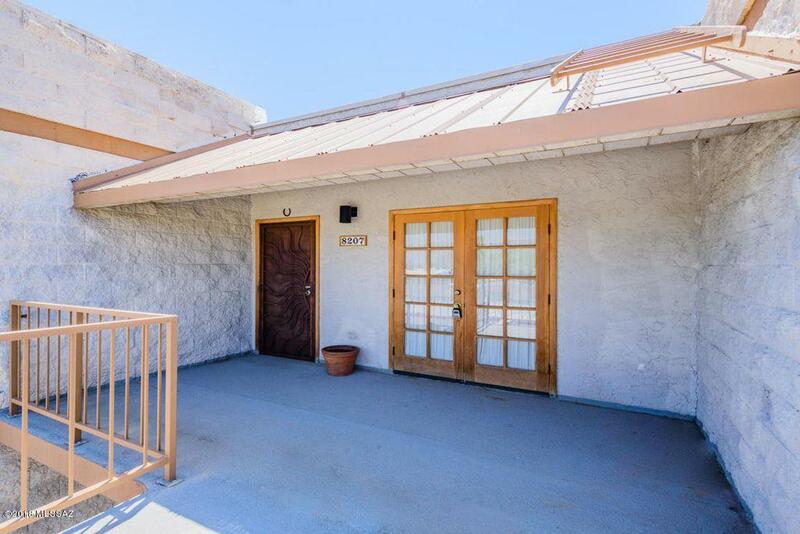 Very clean and well loved corner/end unit with mountain views is oh so charming! Stairwell leads only to this condo which eliminates additional foot traffic. Natural light flows throughout this delightful Great Room floor plan. Saltillo tile with decorative accents create a playful palette. Split bedroom plan allows for privacy, and the two full bathrooms feature tub/shower. 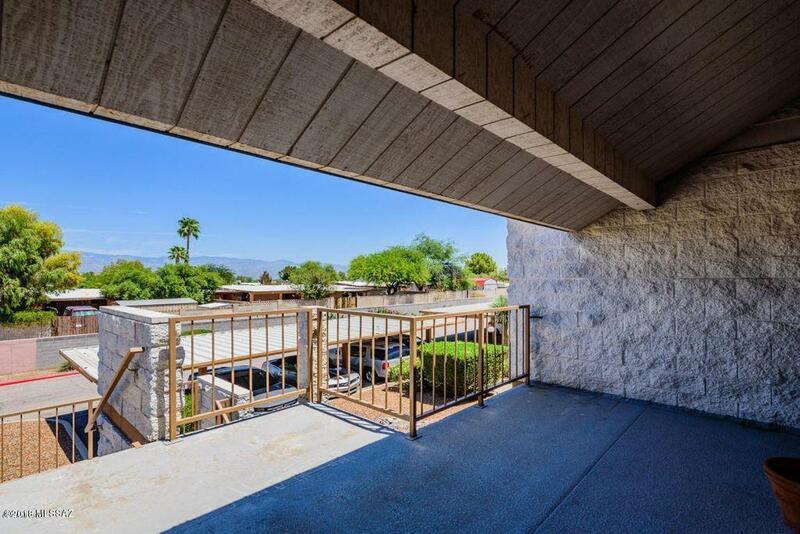 Drink your morning coffee on the front covered patio while taking in the breathtaking views of the Catalina Mountains. 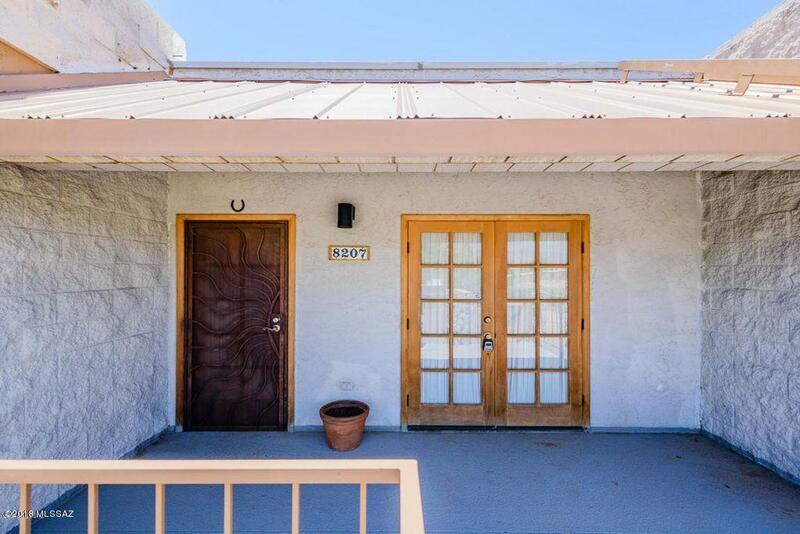 Back patio features sliding glass doors into both the Master Bedroom as well as Living Space. Designated covered parking spot in front of the condo. Beautiful grounds includes pool/jacuzzi. Unit makes a great investment property and rental!